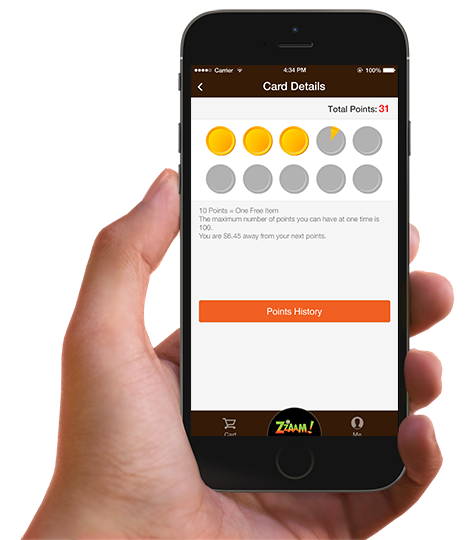 Register and start using the Loyalty Program at the ZZAAM! · No smart phone, No problem! · Get POINTs with qualifying ZZAAM! Purchases.